Hello friend! Thank you for hosting the Todd Migliacci Magic Show! You're here because you want to spread the word and advertise your show to make it a well attended event. Don't worry, we're here to help you fill all those seats and Todd can take it from there! Below you can find plenty of ideas & tools to successfully advertise Todd's show to make it a success. Todd will be happy to do interviews with any local/campus TV, radio, newspaper and other media to promote the event. Todd can call in days before or meet on day of. If you would like Todd to contact someone to promote the event please email him a contact person's name, job position and their email so he can set something up with them. E-mail lists, Newspaper, Twitter, Instagram, Snapchat - we got you covered. Use blurbs provided on right, for your advertisements. Photos included for Insta and Snapchat at the bottom of the page. Does your team have a Twitter and Instagram account? Let us know! We will connect and even re-tweet. NOTE: Make sure to always write- “Magician: Todd Migliacci” and not just “Todd Migliacci” so everyone knows exactly what the event is about! Copy and Paste this blurb for your print advertising! Come experience magic for yourself, live on our campus! 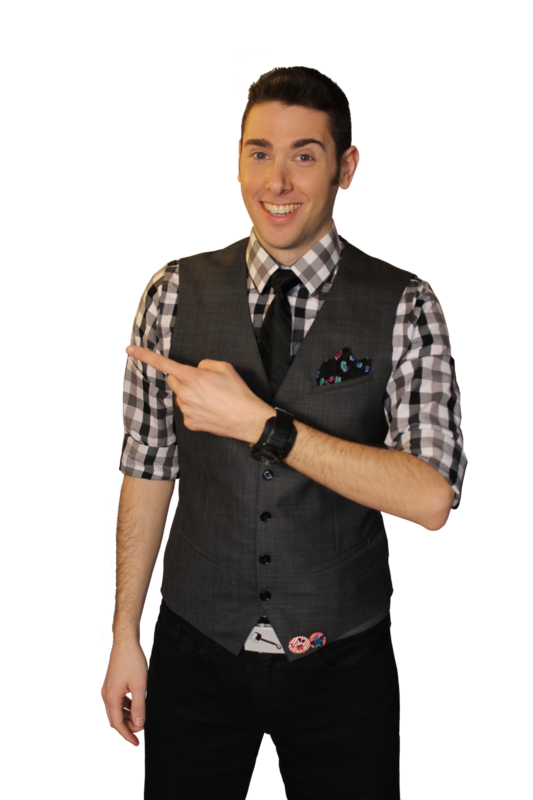 Magician: Todd Migliacci is a national touring magician with two decades of experience up his sleeve. The winner of Disney World's "Best Specialty Act" brings his award-winning magic show to us! He's performed on Carnival Cruise Lines, at Disneyland in CA and he is the only magician to have performed in Cinderella's Castle at Disney World in FL! Todd fuses impressive tricks and illusions with comedy and a ton of fun. Sure he makes things appear, disappear and float in mid-air but the twist: it all happens in just the first 10 minutes of his show! This is magic that’s Pure, Direct & Unforgettable. Grab your friends and be prepared to be amazed [DATE] at [LOCATION] for a [TIME] show. Admission is free thanks to [YOUR ORGANIZATION]. For more information, follow us on social media at [YOUR SOCIAL MEDIA], call [YOUR PHONE NUMBER] or e-mail [YOUR EMAIL]. Connect with Todd directly at @iHeartTodd. Use this for Twitter or Instagram the day before and day of the show! We encourage you to have a handouts in the form of promotional item or at the least, small fliers with the show’s info. Your organization's members can use them to advertise the event during the week leading up to the show. Hand these out at your event before Todd's show and the day before the show on your campus and at the residence halls. If Todd is doing a teaser before your show he will be happy to hand some out too. He recommends saving him aprox 30-50 items. Here is Todd's poster and table tent your graphic designer can add in your shows info. Here are some options of pictures you can use to advertise.